The molluscum contagiosum virus is, as its name indicates, very contagious. The presence of papules (raised skin bumps) can be provoked by crab lice bites, tattooing, or accidental scratching. They usually occur when MVC is inoculated (placed where it can grow and reproduce) in a tiny abrasion in the skin. Once the virus has found an abrasion or injury to the skin, it can infect and enlarge skin cells and replicate (makes copies of) itself. It appears that close physical contact with either the papules or materials that have been in contact with them is necessary to transmit it. Lesions (skin abnormalities) often spread from a baby's face to its mother's breast or face and neck or from sexual partner to sexual partner. Gym equipment, contact sports such as wrestling, swimming pools, and shared towels may also spread MCV, though experts are unsure if the virus is spread through the water or through contact with others and objects related to swimming and bathing. In male organ transplant patients, those living with HIV/AIDS, or individuals undergoing cancer treatment, the papules are often spread by injuries caused by shaving. Electrolysis can also spread papules to other parts of the body. Scratching or otherwise damaging the lesions (skin abnormalities) can make it easier for the virus to autoinoculate (spread itself) as it frees MVC and allows it to infect other damaged parts of the skin if it is moved from one spot to another. Since MCV can only live in the skin, once the bumps are gone, so is the virus. It is unlike herpes viruses, which can remain dormant for some time. If someone experiences a second outbreak, they have come into contact with the virus elsewhere. It does not appear that having the virus once builds immunity. At this point in time, there is no vaccine for MCV. It is unknown exactly how long a person is contagious, so it is best to assume that it can be communicated as long as any lesions are present. To be safe, do not use swimming pools, share baths, or engage in contact sports until the viral infection is gone. If the papules are not covered by clothes, cover them with watertight bandages during the day and remove them at night. Do not scratch or otherwise damage the papules. Antipruritics (products that prevent itching) can be helpful, especially in children. Men with suppressed or compromised immune systems should either grow a beard, or at least reduce shaving and not share razors. 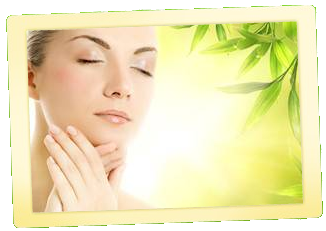 Do not undergo electrolysis until all the papules are healed. Do not share hair brushes, unwashed clothes, or bar soap. Wash your hands regularly (particularly after touching the papules) to prevent spreading the virus to others or unaffected parts of your body. You should avoid sexual contact until the papules have disappeared, but if you do engage in sexual activity, use a condom or dental dam to minimize skin-to-skin contact.